MoBo Bicycle Coop – A world made healthier through the increased use of bicycles for environmental, social, creative and practical purposes. 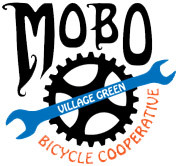 MoBo is a volunteer-run bicycle cooperative. We are a community of people who come together to learn from each other, promote bicycling in our city and build friendships. 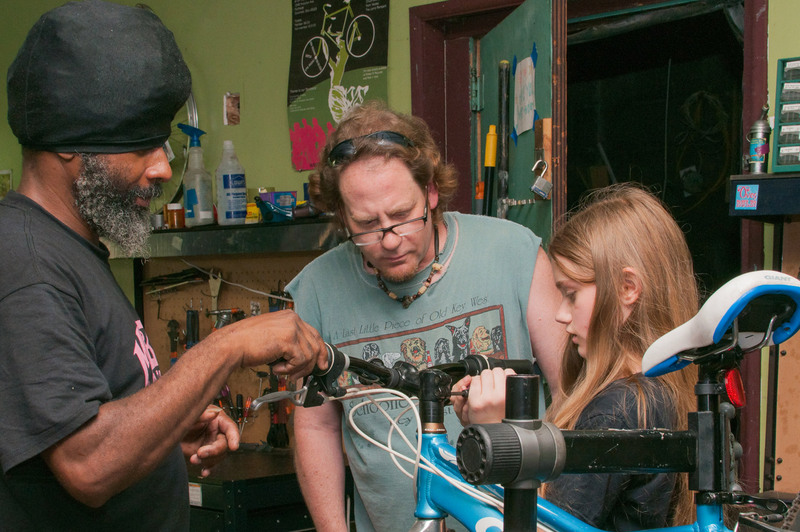 We maintain a fully-equipped shop where members can learn to work on their own bicycles with the assistance of experienced volunteers through our core program, Open Shop. 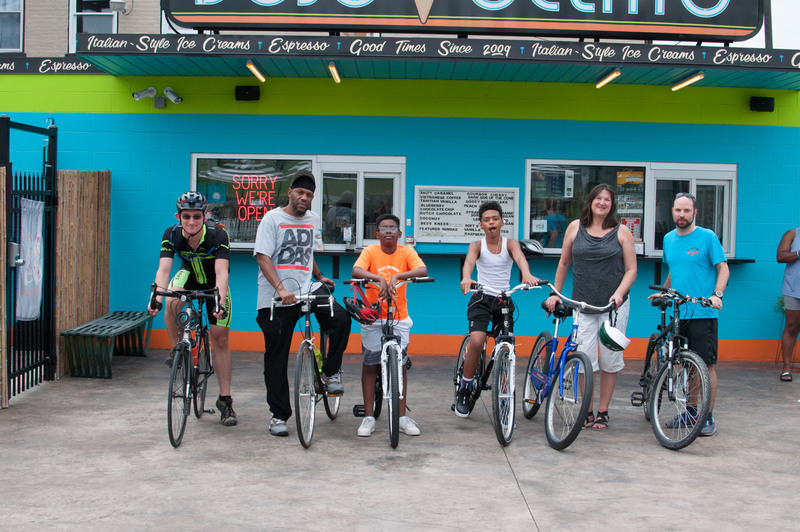 We host workshops, social events, and advocate for bicycling in Cincinnati. Open Shop is the backbone program of MoBo. 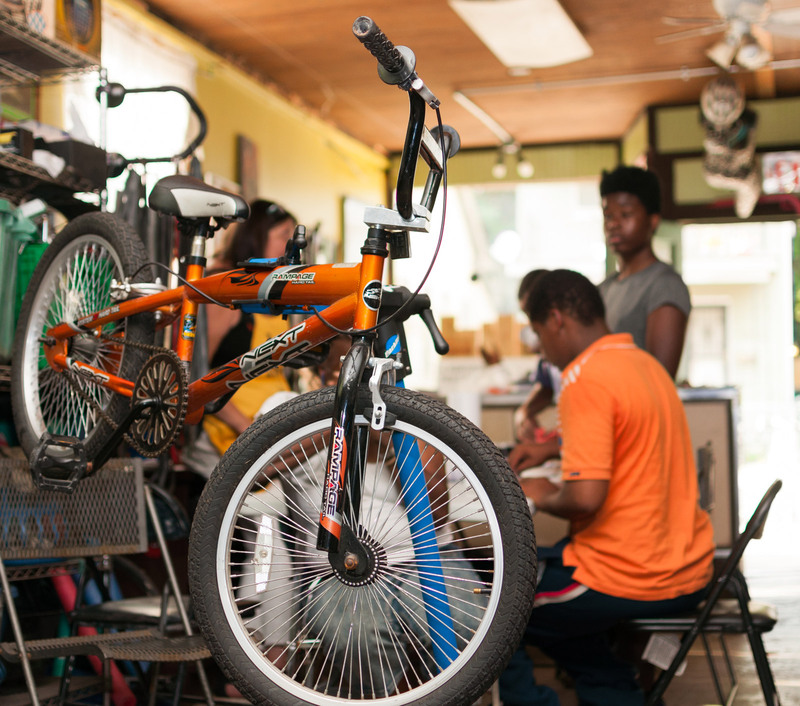 Simply put, it is a time for members to come and use the shop for working on their bikes or to adopt a bike. 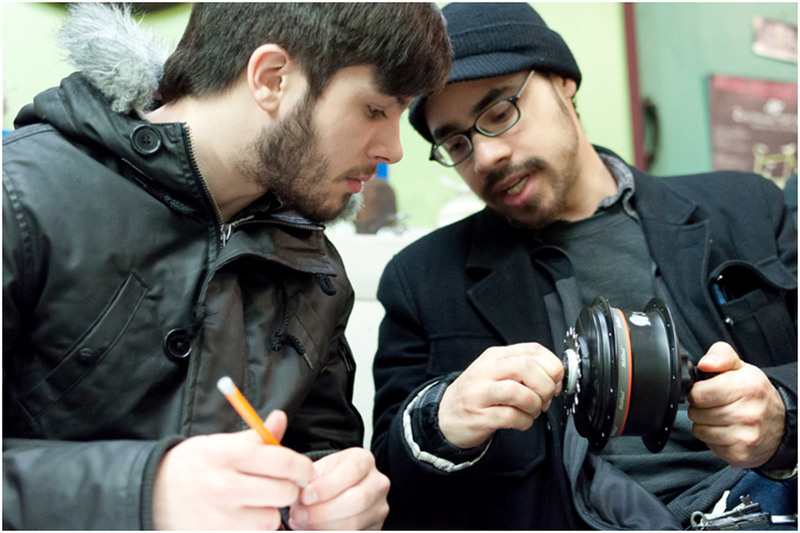 MoBo is equipped with six sets of tools that members can check-out on a first-come, first-service basis. Recycled parts are available for a small donation and some new supplies such as tubes and cable are sold at cost.Volunteer mechanics are available on-site to provide “hands-off” support. No one will fix your bike for you. The first step is to become a member of the co-op. 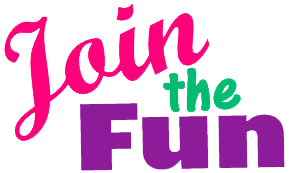 Our annual membership fee is $20 (although membership can also be earned by volunteering). Membership provides access to the shop, our tools, cleaners, grease, mechanic’s knowledge and more. 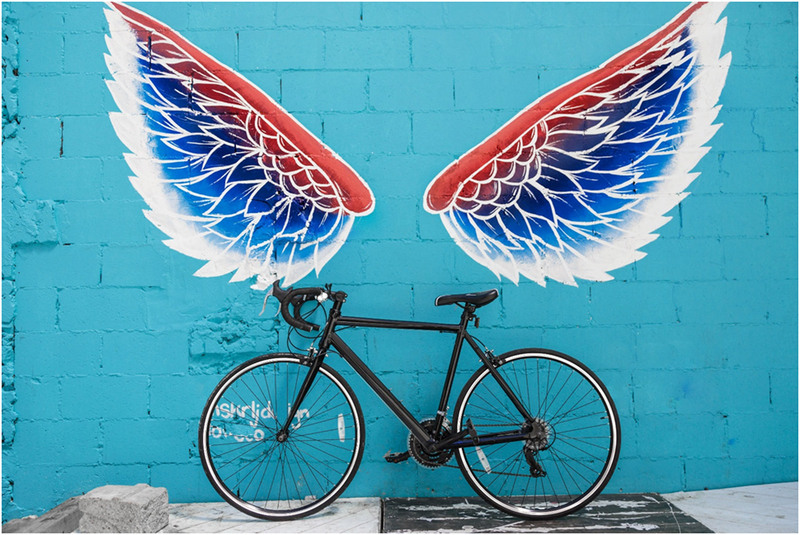 Members can “adopt” recycled bicycles, parts and accessories for a very modest donation. Kids under 16 are welcome to join for free.